Republica Conflict-hit women of Rukum in this recent photo. 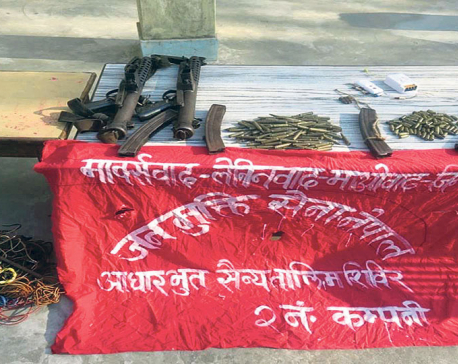 RUKUM, April 3: Other news or development in the country may or may not draw their attention but the issue of Netra Bikram Chand-led Communist Party of Nepal does scare them. 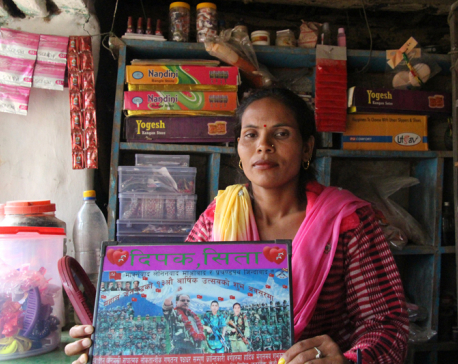 For the conflict-hit women of Rukum yet another war is a big 'No'. Pun lost her husband to the conflict. He was also a combatant like her and during the war, he got killed. “My world shattered then,” she recalls. According to Sumitra, only the poor people are affected by war or revolution. “Others find ways to protect themselves,” she notes. Discussing Chand-led activities and the government's restriction on them, Sumitra says that there is no point going for another conflict. “We have had enough of it. Nepalis are not ready for war anymore, more so, if you are a conflict victim,” she said. Shitali Khatri of Bafikot Rural Municipality is also a single mother like Sumitra. Her husband was also killed during the conflict. “After he died, I found it very difficult to look after my children. Especially, education has been very costly,” she said. When her husband died, their three children were very young while four others were a little grown up. Having seven children at this age is not very normal at this age, but the couple had that many. “When he died, my three children were still very young, while four others were grown up,” she said. Educating those children turned out to be very challenging for Shital too. If no proper education is given, they are also likely to follow their father's footsteps someday. “Well-educated people do not participate in such wars, it's only the people like us who are not aware,” she said, adding that she had never wanted her husband to embrace arms either. These days, her district is not very peaceful. Nobody knows what would happen next. “There are lots of rumors and we feel restless,” she narrated. The government's action against Chand's activities is not irrational, according to Shitali. However, taking him in confidence is important, she suggests. “I only wish that there be no war anymore in this country. War for whom? For what? There is no point,” she said. There are a number of women in Rukum who have very bitter memories of the decade-long conflict. They call it deep scars of war, which they want to do away with. According to Pushpa Oli, yet another conflict victim, development is the only thing that the country now wants. And Chand or whoever tries to disrupt social and political stability should not be allowed to do so. “How can we tolerate any other conflict again? There is simply no space for war anymore in this country. Those who want war better kill themselves and not bother any one else,” she fumed. 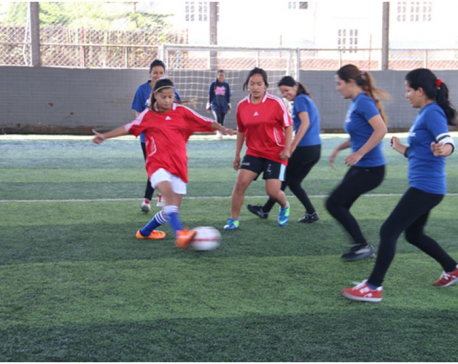 Pushpa further stated that the burden of the war is always more upon women. Children's responsibilities always befall on women. “Men do not understand what the cost of war is. So they show eagerness to pick arms. But who gets most hit are women, always women,” she said. Meanwhile, she also suggested to the government to initiate peaceful dialogue with Chand's party. “The government should act wisely and strongly to contain such forces,” she said. Of late, the government has intensified action against Chand's party. While the police have arrested influential leaders of the party, the latter has been warning of retaliation if the arrested ones are not freed. Rest of the leaders of the party have gone underground. “For now, they are underground. But who knows what's cooking there? We do not want any kind of conflict, so we want the government to take the right action beforehand,” Pushpa said. According to women conflict victims, they want better opportunities, better roads, schools and hospitals in the district and nothing more than a peaceful environment.